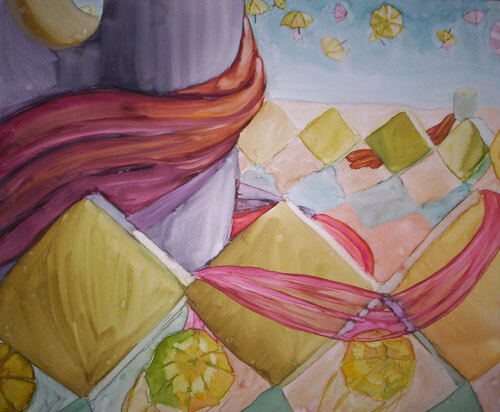 Watercolor on Masonite, 2006. Watercolor class at Sac State. Imaginary landscape.